The Utah-100/UDS-288 brings the significant cost savings of the Utah 100 UDS Router family to mid-size routing class. 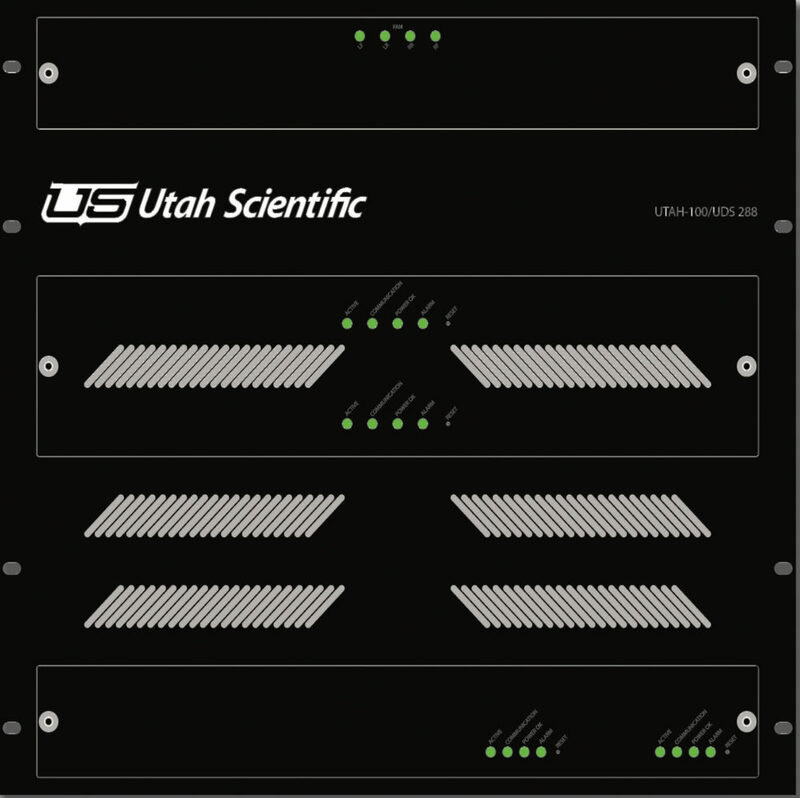 The Utah-100/UDS 288 also maintains full compatibility with all of Utah Scientific’s digital video and audio routers as well as control panels. The Utah-100/UDS-288 offers redundant crosspoint cards, frame controller cards, and fan assemblies that can all convenientlybe removed from the front panel. The I/O cards each have 16 ports and are fitted with HD-BNC connectors for improved density and performance. The Utah-100/UDS-288 router is connected to the Utah Scientific router control system through the control system’s MX-Bus. As previously mentioned, the Utah-100/UDS-288 is fully compatible with all of the Utah Scientific controllers ranging from the basic SC-40 to even the full featured SC-4, which is the heart of some of the world’s largest mission critical signal routing systems. The Utah-100/UDS family now offers an optional output card which can be fitted with signal processing modules that ensure continuously valid SDI signals are out when a switch is made. Each of these modules receives reference from any input in the router and provides fully processed streams on three outputs. In addition to the processing option the Utah-100/UDS-288 fully supports the FlexIO features of the UDS family. 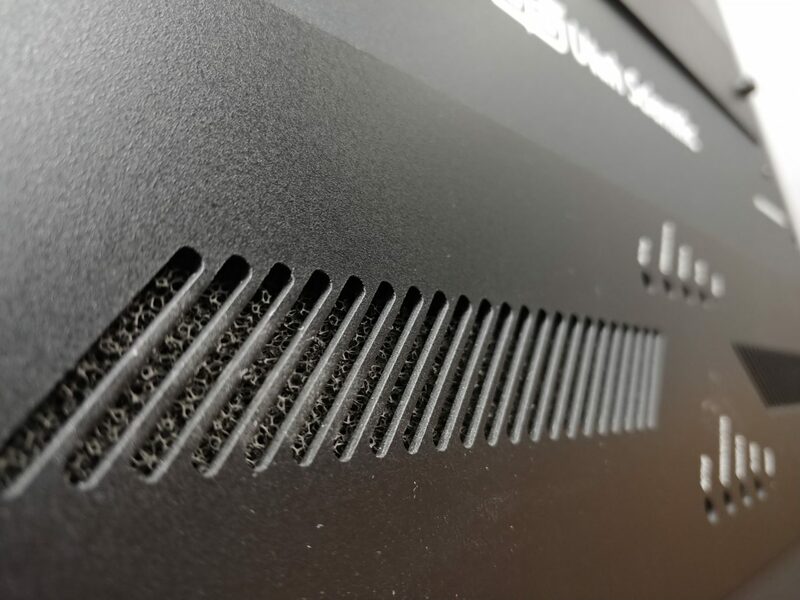 This provides the ability to tailor the system to support fiber I/O and various signal format options such as composit analog, DVI and HDMI on inputs as well as outputs.